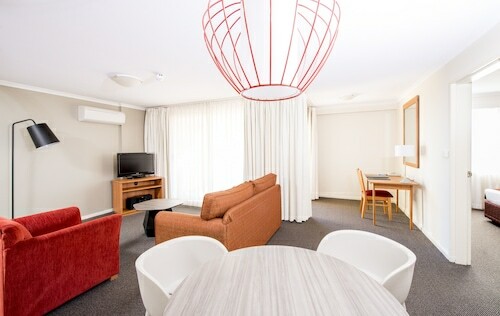 Situated in the suburbs, this hotel is within 6 mi (10 km) of National Dinosaur Museum, Cockington Green, and Federation Square. EPIC and Kamberra Function Centre are also within 6 mi (10 km). 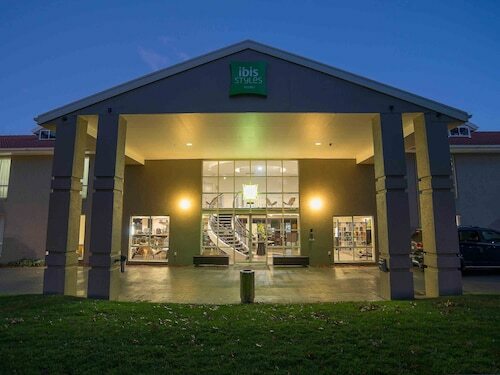 Situated in Gungahlin, this motel is within 1 mi (2 km) of EPIC and Kamberra Function Centre. Canberra Centre and Australian National University are also within 6 mi (10 km). 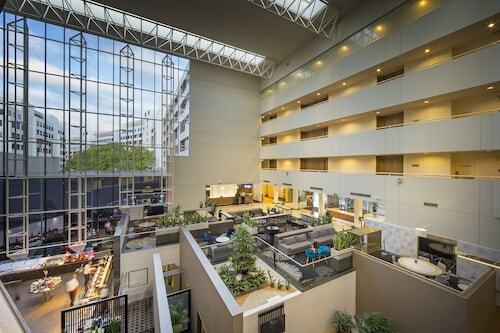 Located in Canberra City Centre, this hotel is within a 10-minute walk of Civic Square, Canberra Centre, and National Convention Centre. Lake Burley Griffin and Australian National University are also within 1 mi (2 km). 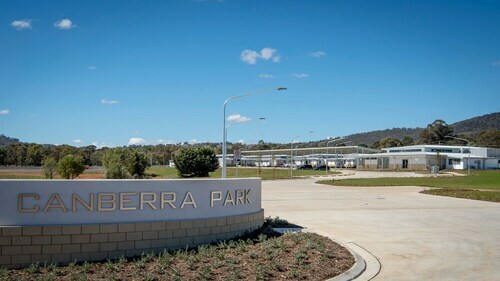 The neighbourhood of Gungahlin is full of Canberra's atmosphere and at 11 kilometres to the north of the city can be an excellent base in Australia's thriving capital. Heading to Canberra? There's so much to see here, like the Parliament House, the Australian War Memorial and the National Gallery of Australia. Go for a stroll and explore the strange beauty of Cuppacumbalong Cemetery. Take some time to look around and pay your respects to those buried here. Like to stay in the area? Consider the Abode Gungahlin. After a refreshing sleep, get outside and follow the smell of roasted coffee beans to Gungahlin Lakes Golf & Community Club. This well-loved Gungahlin cafe offers all the scrumptious treats and hot beverages you could need. When you start thinking about dinner, go and check out Pizza Capers. The main courses may be delicious, but don't forget leave room for dessert! No worries if you cannot locate the right room in Gungahlin. You'll discover more alternatives in the Watson hotels guide and the Wotif Downer hotels guide. Watson is around 6 kilometres from Gungahlin and Downer is approximately 6 kilometres away from Gungahlin. If you are ready to escape the daily grind and start exploring, Wotif will help you sort it out, from hotels and flights to car hire and activities. How Much is a Hotel Room in Gungahlin? 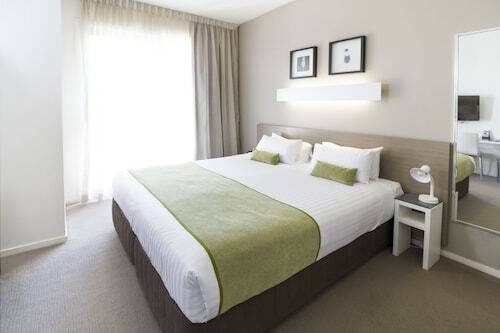 Hotels in Gungahlin start at AU$80 per night. Prices and availability subject to change. Additional terms may apply. Customer service was outstanding. Parking was difficult due to basement organisation but rooms as facitlites were clean and reasonable for cost.